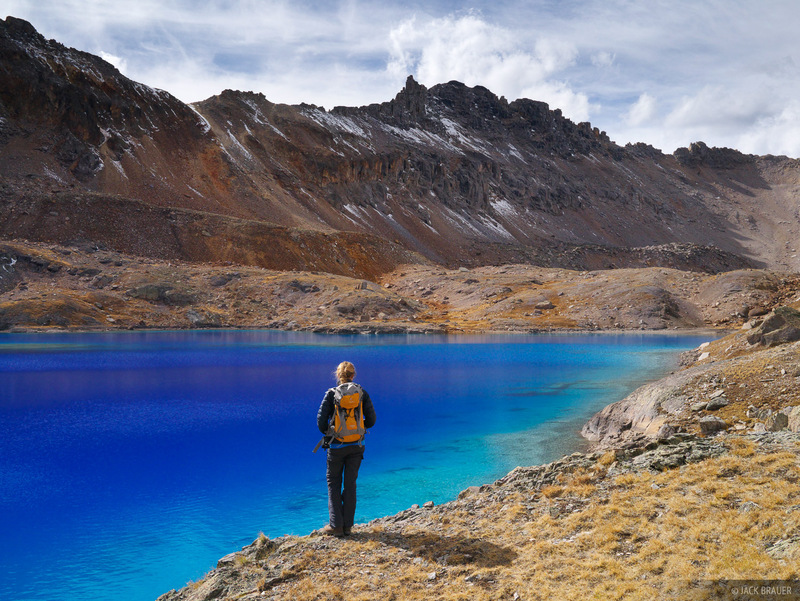 Looking over the brilliant blues of Columbine Lake - October. (No, not photoshop; it's really that blue!). Photo © copyright by Jack Brauer.